You always hear that you should make your Facebook as private as possible, but what does that actually look like? Below we discuss different aspects of your Facebook profile, including what friends and strangers can typically see. We have also provided specific instructions for adjusting your privacy settings so that you are comfortable with what others can see. This information is specific to Facebook, but the same information exists online for other social media platforms (e.g., Snapchat, Instagram) to that you can help your children ensure that their social media accounts are private. By default, your name, profile picture, and cover photo are public and visible to whomever should find your profile. However, you can make your profile picture and cover photo hidden. To do this, click on the picture. Under your name and next to the date the picture was added will be an icon. It will be either a globe, two people, one person, or a lock. Each will have a down arrow next to it. Click the down arrow and you can change the visibility of the picture to everyone, just friends, just friends with a custom exception, specific friends, or just you. To alter who can see your Timeline, click the down arrow at the top right of the blue Facebook tool bar. From the menu, click Settings. From Settings, click on Privacy. It’s the fourth option down in the column on the left. The first three options are to do with your Timeline. They’re organised under Your Activity. Future posts (status updates, pictures, links you share, etc.) can be limited to everyone, friends, custom friends, and only you. If you select everyone, literally anyone with a web browser will be able to see what you post to Facebook. By setting it to Friends, a random stranger will see nothing when they look at your timeline. Or, more likely, they’ll see when you’ve changed your profile pictures if you didn’t make those private. From here, you can also review things other people tag you in. These things won’t be visible to just anyone if you have the above activity set to Friends, but it’s good to review these things. The third option here reads “Limit the audience for posts you’ve shared with friends of friends or public?” You want this set to Limit Past Posts. Otherwise the public will be able to see past things in your timeline. If you’ve done this right, a random non-friend won’t be able to see anything on your Timeline. The About section is home to all kinds of details, such as your home city, where you work, what school you went to, and much, much more. Every single detail you can add is also customisable in terms of who can see it. When editing the detail, simply click on the gear icon. From here, you can set the visibility of the detail to everyone, just friends, a custom friends list, only you, and even to other networks. For example, if you live in Calgary, then you can set the detail to be only visible to your Calgary network of friends. If every detail is set to share only with friends, then a stranger viewing your profile won’t see anything in the Intro box at the left side of the screen, nor anything when they click on About. Who can and can’t see these is governed by the settings you have for your Timeline. However, you can change who can see individual pictures using the same method for changing the visibility of your profile picture. 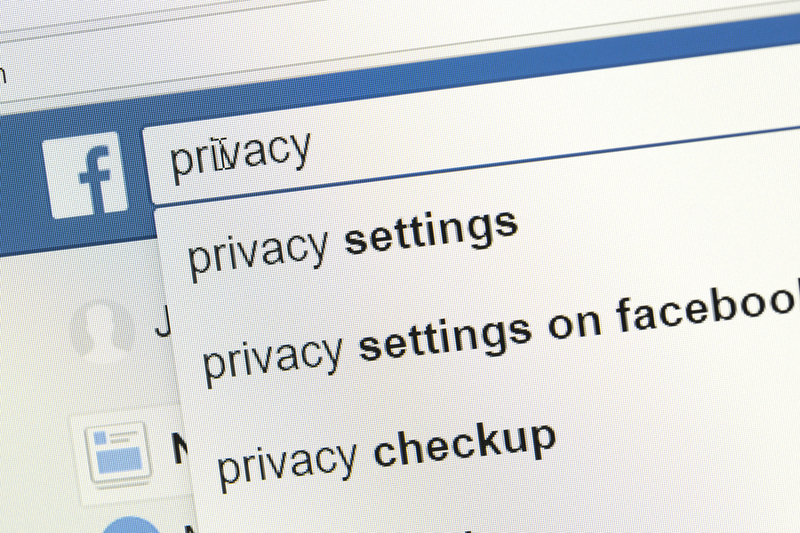 Assuming you’ve buttoned down all these privacy settings to Friends or tighter, you may be wondering how people might be able to find you. This can be found in the same Privacy menu we used to edit Timeline. Here, you can edit who can send you friend requests, who can see your friends list, who can look you up using your email address, who can look you up using your phone number, and whether or not you want search engines to be able to find your profile. For the first four issues, setting to Friends is the strongest. For the last, you want it to read No. This way your profile won’t come up when someone Google searches your name. It’s an extra layer of security. Now that you’ve edited things down, you can take a look at your profile from an outside perspective. At the top right of your profile, next to the Activity Log button, there’s an ellipses button (i.e., three horizontal dots). Click here, then click View As from the drop down menu. You’ll now be able to view your profile as a stranger. This way you can see just how much of your personal information is visible. You can also use this tool to view your profile as a specific person. A black bar should have appeared when you went into View As mode. Click View As a Specific Person and type in the name of the friend you want to view your profile as. When setting who can view what, the options Everyone, Friends, and Just Me are pretty self-explanatory. But why can you set things to a custom friends list or specific friends? Well, there may be cases where you want to stay Facebook friends with someone but don’t want them to know much about your life. For example, maybe there’s and aunt or uncle it would be impolitic to unfriend, but they don’t need to see your Timeline.